The Managing Partner of HO Mumbai is a Fellow Member of ICAI having more than 9 years of post-qualification experience. His professional career personifies the quality orientation that SBR & Co has aspired for. He has always inspired to dream big and deliver. His vision and inspirational leadership has immensely helped clients belonging to diverse verticals and has taken them to new heights of success. Bikash Bogi, Co-founder of the Firm, is a Fellow Member of ICAI and a qualified company secretary. He is looking into the technical intricacy of Income Tax matters including International taxation, FEMA & their litigation handling. He is having very sharp legal Neck. He is representing clients in Income Tax Litigation matters till ITAT level all across India and also advising clients for their pending matters at High Court & Supreme Court of India. He is author of tax articles published in various professional magazines & Websites and a renowned name amongst CA fertinity in Eastern India. Nirmal Agarwala, a Fellow Member of ICAI, is incharge of the Surat Branch. His core skill lies in Financial Services & Business consultancy. By nature he possesses entrepreneurship skills which reflects while dealing with new clients. Ritu Bogi is a Fellow Member of ICAI and DISA qualified. 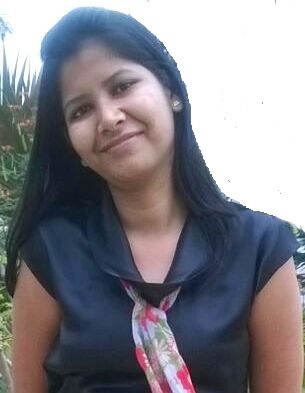 Ritu, 5th partner of the Firm, was having post qualification experience of 5 years, joined us on December 2015. She had worked in assignments related to corporate restructuring & corporate consultancy & represented the clients before Company Law Board for various issues. She is looking into corporate mergers / Acquisition, their respective due diligence and related compliances & corporate restructuring. She also looks into various assignments of Bank Audits. Shubham Modi, an associate member of ICAI and also a qualified Company Secretary is in charge of Ranchi Branch of the firm. He has extensively worked on several auditing and consulting cases across diverse verticals and has served clients ranging from global MNCs to SMEs during his qualification period and continues to pursue excellence in the same fields post qualification. Ankit Rajgaria, an associate member of ICAI, is stationed at the Ranchi Branch of the firm. He has served multiple SMEs with their taxation and auditing cases during his qualification period. He has a blend of versatile expertise that includes compliances and representations at all levels of regulatory as well as statutory bodies.